WNED WBFO Magazine, members-only program guide for the Buffalo/Toronto region's public media television and radio stations. WNED | WBFO Magazine SEPTEMBER 2016 Talk StoryCorps, immigration and more with WBFO Read more on pages 5-8. Being Canadian Thursday, Sept. 15 at 9:30 p.m. Read more on page 23. 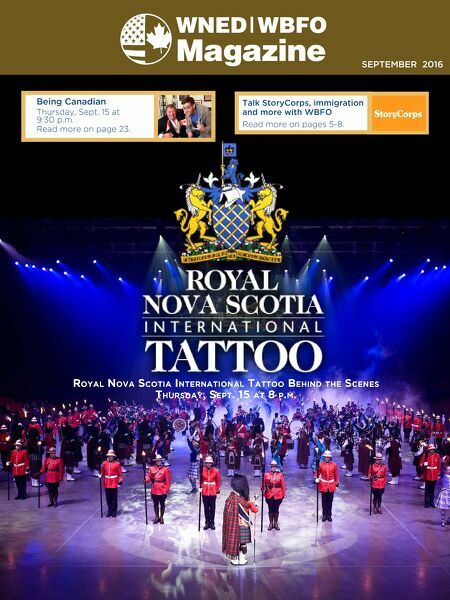 Royal Nova Scotia iNteRNatioNal tattoo BehiNd the SceNeS thuRSday, Sept. 15 at 8 p.m.